Call anytime for our 24/7 locksmith services for lockouts, changes, repairs and other lock emergencies. Read all about it on this page. Here at Locksmith Phoenix, our team of qualified residential locksmiths is here to assist you with keeping your home, family and self secure. We can help do this by ensuring that all of the door locks in your home and car are performing optimally with professionally conducted replacements, repairs and maintenance. So, if you would like more information on how you can take advantage of our services, speak to one of our consultants today. Our professionally trained team of 24/7 locksmiths are here to assist you with any emergencies, no matter what time of day or night you call us. Since we understand that there is no time to waste when it comes to keeping your home secure, we are here to respond to any emergencies that you may face off hours. Whether you need to have a lock repaired or replaced, or need assistance with gaining entry, we are here to help after hours and on weekends and public holidays. We understand the importance of ensuring that your home is adequately secured from intrusions, which is why our residential locksmiths specialize in careful installations of new locks, as well as repairs and replacements on old ones. If you feel like your home’s security could use a little beefing up, be sure to contact us for assistance. When you find yourself locked out of your home or car, don’t give way to stress and do something drastic like break a window. Rather contact one of our locksmiths for assistance with lockout services that will have you back inside with no damage to your property. 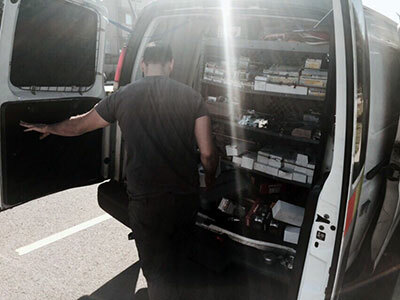 Our locksmiths don’t just specialize in locks for your home, our services extend to car door locks and ignitions as well. Whether you need your car lock repaired, are looking to replace it, or simply need assistance with getting into your vehicle, our smiths are available around the clock to assist you. So, call Locksmith Phoenix today and speak with one of our consultants for more information on the various services we offer. Whether you need assistance with locks changes, replacements, maintenance or lockouts, our team is ready to help and waiting for your call.